The Miami Marlins entered the National League as an expansion team in 1993. 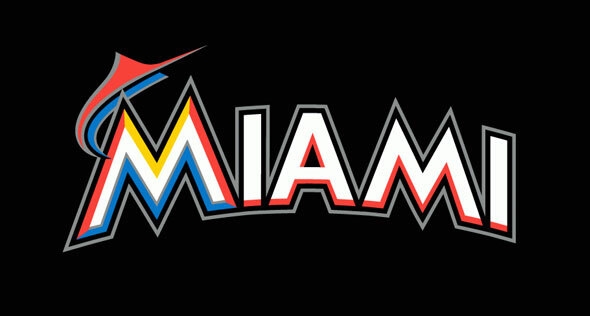 They are in the East Division and play at Marlins Park in Miami. Their colors are black, red-orange, silver, blue, yellow and white and their nickname is The Fish. After years of efforts to bring baseball to Florida, Major League Baseball decided in 1990 the Sunshine would get a team. The only question was whether it would be in Miami, Tampa or Orlando and that was answered when Blockbuster Video CEO Wayne Huizenga, owner of Miami’s Joe Robbie Stadium, was awarded the franchise for a ninety-five million dollar expansion fee. While the Marlins understandably struggled in their first few season, they began building a solid core centered around Gary Sheffield, Jeff Conine, Charles Johnson and Robb Nen. They signed free agent pitchers Kevin Brown and Al Leiter and outfielder Devon White before the ‘96 season and free agents Bobby Bonilla, Alex Fernandez and Moises Alou before ‘97. Add the emergence of their young middle infield of Edgar Renteria and Luis Castillo and the Marlins were suddenly a big budget contender. In 1997 the Fish rolled right into the World Series, where the defeated the Cleveland Indians in a thrilling seven game set. And then something happened that has come to define the Marlins history. Owner Huizenga claimed the team had suffered a financial loss in 1997 and spent the next year dumping all of his high priced players. 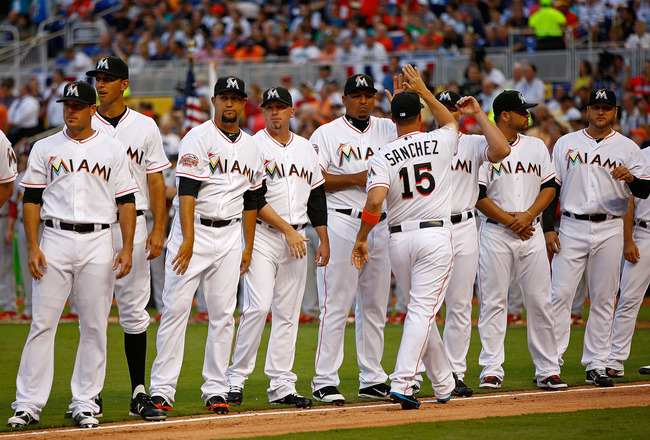 The Marlins lost 108 games in 1998 and struggled for the next few years. Then, in 2003, led by a young pitching staff of Dontrelle Willis, Josh Beckett, Brad Penny and Carl Pavano and sluggers Derek Lee and Mike Lowell, the Marlins made the playoffs for the second time in franchise history. Again they won the World Series, this time over the Yankees. 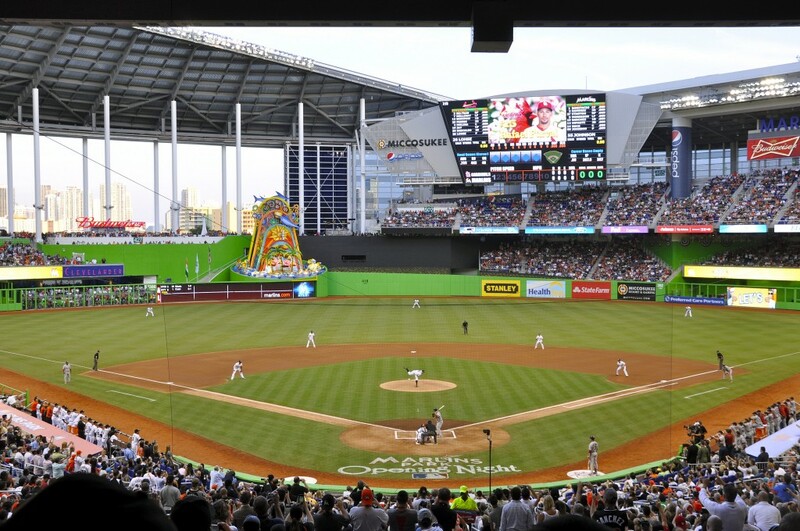 The Marlins spent the next eight years in the middle of the standings, but it looked like they were onto something big in 2011 with a young core featuring Hanley Ramirez, Giancarlo Stanton and Josh Johnson, and new stadium opening in 2012. That offseason, the team — now the Miami Marlins — signed high profile free agents Jose Reyes, Mark Buehrle and Heath Bell. But the Fish completely flopped in ‘12 and owner Jeffrey Loria enraged baseball fans everywhere by trading off Ramirez, Johnson and all of his recent high profile additions, adding to the Fish’s odd tradition of boom and bust. Key players: Jeff Conine, Gary Sheffield, Charles Johnson, Robb Nen, Kevin Brown, Al Leiter, Bobby Bonilla, Alex Fernandez, Moises Alou, Livan Hernandez, Ivan Rodriguez, Mike Lowell Derek Lee, Edgar Renteria, Luis Castillo, AJ Burnett, Dontrelle Willis, Josh Beckett, Josh Johnson, Hanley Ramirez, Giancarlo Stanton. Key managers: Jim Leyland, Jack Mckeon.